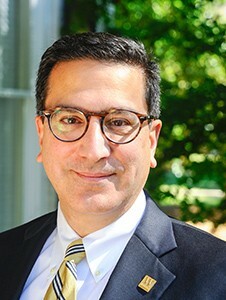 Wofford College President Dr. Nayef Samhat has been appointed to an at-large seat on the Board of Directors of the National Association of Independent Colleges and Universities. He will serve on the Committee on Policy Analysis and Public Relations. The National Association of Independent Colleges and Universities (NAICU) serves as the unified national voice of private nonprofit higher education. With more than 1,000 members nationwide, NAICU reflects the diversity of private, nonprofit higher education in the United States. Dr. Samhat’s three-year term begins next month (February 2016) at NAICU’s national meeting in Washington, DC. With the reauthorization of the Higher Education Act on the legislative front burner, the NAICU Board and advocacy organizations, including SCICU, will be working overtime to try to shape the national discussion.